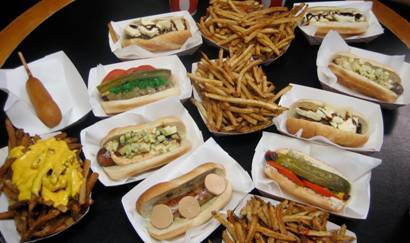 When we began our trek through America’s regional hot dogs, we were legitimately worried. We had just finished writing about 11,000 words talking about long bread sandwiches, and it literally tore families apart and drove half of our staff to insanity. And we were going to immediately follow that nightmare up with a systematic breakdown of hot dog styles? Did we have a death wish outside of our normal “eating and drinking so much that interventions pretty much have become a part of our weekly schedule” death wish? As it turns out, the task wasn’t quite so daunting. 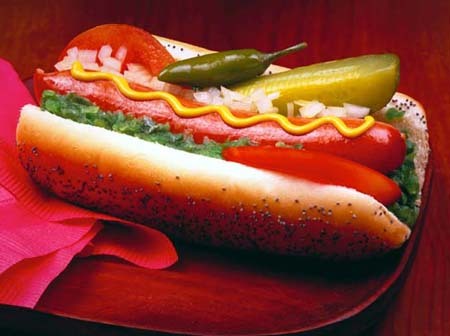 Most hot dog styles follow a pretty basic blueprint. Talking about the different regional kinds of, say, chili dogs requires about as much research as talking about various pizza toppings. New Jersey wanted to put chili on their hot dog. Georgia puts their chili dog in a bowl. Pennsylvania likes to name things from Pennsylvania after Texas. It’s not exactly academic research, but it is hot dogs, so it’s still worth our attention our affection. And these four hot dogs remaining are the ones we love the most. So let’s dig in.